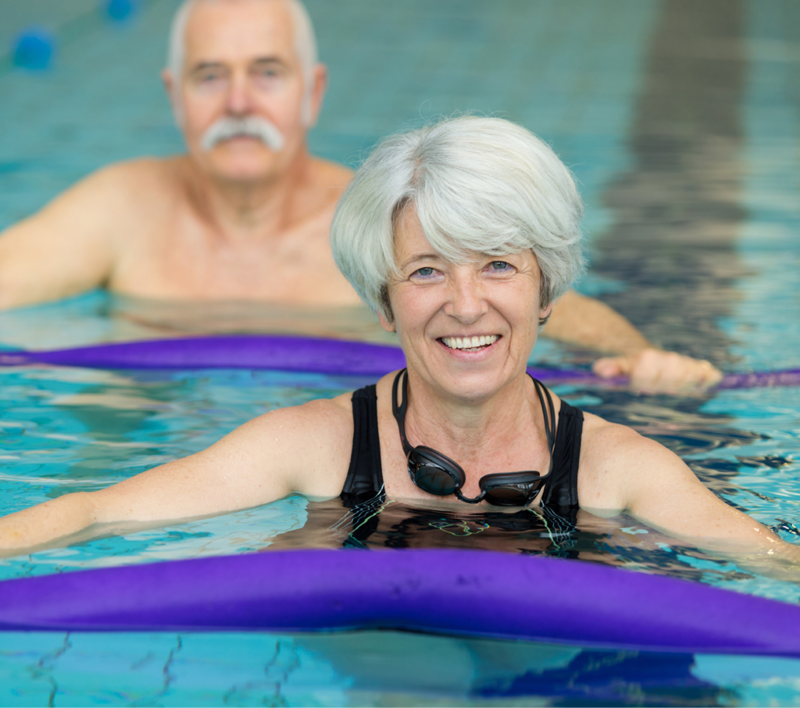 Water aerobics can help ease stiffness, build strength, and improve flexibility. In fact, aqua aerobics is one of the healthiest no-impact methods of keeping fit and building cardio endurance. That’s because when you’re exercising in a pool there’s no gravity putting pressure on your joints and the water supports your body in every position, so you can achieve a wider range of motion. Somerset Swim & Fitness offers a variety of water aerobics classes that are designed to improve your quality of life. They can relieve arthritis and joint pain while increasing bone density and muscle mass, and can even help with pain management for conditions like Rheumatoid Arthritis, Fibromyalgia and Lupus. Taking an aqua aerobics class in our heated saltwater pool is the perfect workout, even if you’re tired! Ready to sign up or have additional questions? Just give us a call at 603-595-4160. Ease stiffness, build strength, and improve flexibility. Manage pain associated with Arthritis, Fibromyalgia, Lupus, and inflammation. Boost your ability to perform tasks, including walking or climbing stairs. Increase energy, reduce fatigue and improve sleep. Everyone Loves Our Aqua Aerobics Classes!